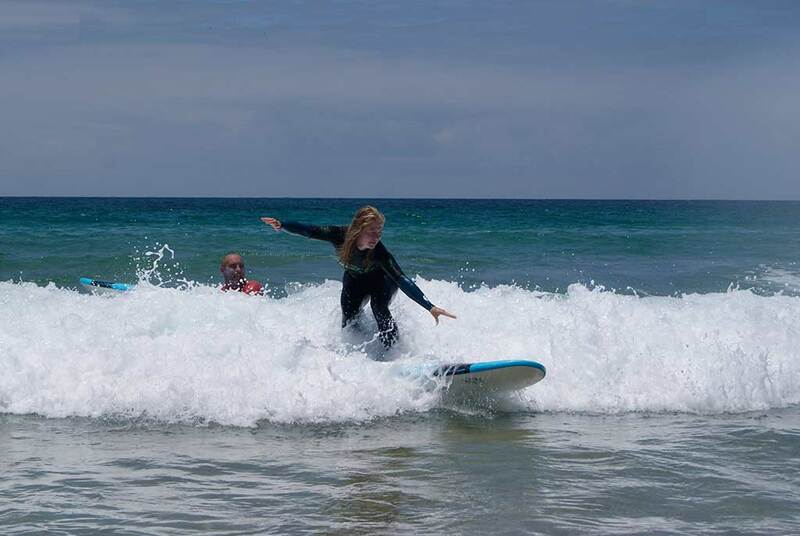 If you have ever wanted to have a real surfing holiday, Line Up Surfcamp is the place to do it! our Surfcamp is located really close to all the surf breaks and is one of the biggest and more better-designed surf camps in Corralejo, as Plus we have the biggest Procenter ( Operating since 2010 ) just a few meters from the house, there u can rent more than 200 surfboards, 100 stand up Paddleboards a dozens of kites. We offer Tamarindo surf lessons to beginners up to advanced. 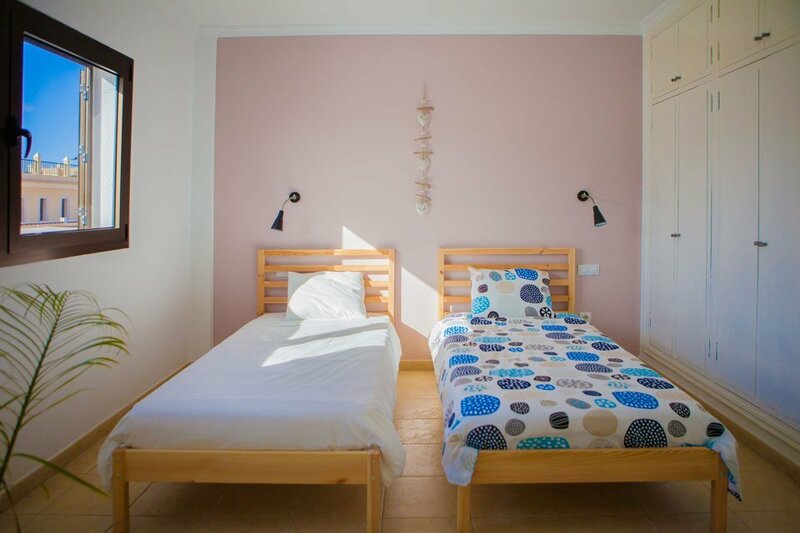 You can choose from one of our three Accommodation Packages and learn to surf in Fuerteventura. Pristine water, warm weather, world-class conditions, just a few hours from all European Capitals. We focus specifically to each and every customer’s needs and levesl. It is our goal to have every customer leaving 100% stoked about surfing! We have taught over thousands surf lessons in the last 8 years we have been sharing the stoke on surfing!! 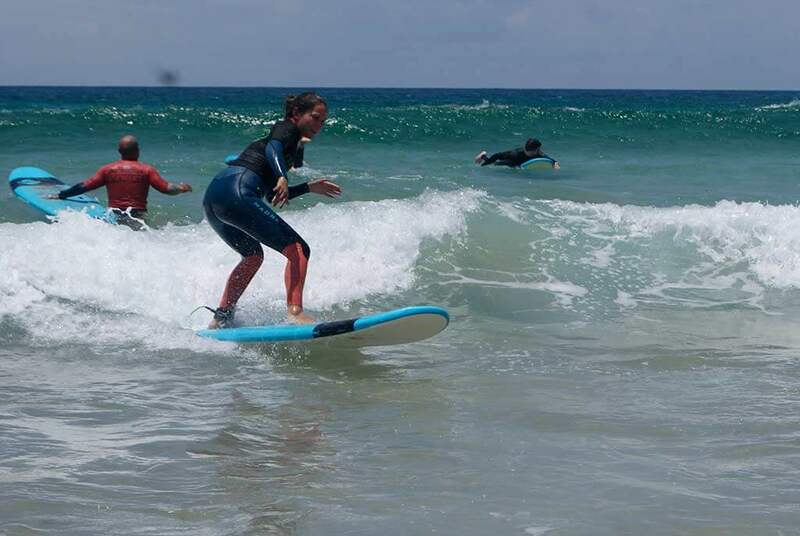 All of our surf coaches are friendly, multilingual and very experienced surfers. All with the proper certification. Most of our staff has been with us for years since we want to offer a professional atmosphere within the management, the associates and our customers ! If you want to combine Accommodation and Surfing Lessons in one package this is your choice. Undoubtedly, the ‘Surfcamp Pack’ is the most convenient and fun way to enjoy a boardrider vacation option. ✔ Get super stoked on Surfing!!! Hi Guys, Just a great thank you for the surfing week kids have last april! They really enjoy it and you were for me a great guide to visit the island! Hope to come back soon and will think of you this summer when we will surf in Messanges. We took a 1-days course Surf for Beginners at Line Up. The people in the shop were very nice and helpful and it was easy to find a matching class. Their courses are really small. We were only 4 students, which was perfect. Our instructor, Matteo, was fantastic. He gave helpful tips during the lesson. I stayed at Line Up Surf Camp for 5 nights and booked surf lessons for 4 days and it was the best. Both Luca and Mateo are not only fantastic surf instructors, but they are also super nice guys. I had such an amazing time with them and I can’t wait to come back and improve my skills! We’ve just finished a week long course of surfing with Manu and the team at Line Up. We had an amazing time and couldn’t praise them enough. The lessons had people of varying abilities but Manu always made sure he gave everyone attention and always took us to the best beaches for our abilities. Manu always had a smile on his face and kept the warm ups fun and engaging. Highly recommend this surf school, everyone we met from Manu and Matteo to the guys in the surf shop were an absolute pleasure. Can’t wait to book my next trip! No way how to describe such an amazing week in Fuerteventura ☀ Not only because all I have learnt by surfing and practising Yoga but also the incredible people I met at @lineupfuerte. Starting with @nina.yogini and her amazing tips, not only about Yoga but also about life and all what I can improve from now on 🧘‍♂. Also to Manu and Mateo for having taken care of us in all surf lessons with an incredible smile on their faces and for tonneessss of pacience 😅😋. And for sure…to each of the incredible people I got to know in there…with amazing hearts and being better persons ❤.